서비스와 위치는 훌륭합니다. 평화로운 녹지대와 식민지 환경에서 맛있는 음식 모험과 함께 최고의 경험을 찾는다면 이곳이 그 곳입니다. 6 개월이 지난 후에도 우리는 아침 식사를하는 시간, 리셉션과 함께 영국식 시가 룸에서의 체스 연주, 라일라와의 산악 산책 등을 종종 상기합니다. A nice touch in the room to describe it. Good morning Imesh, Thank you for the question. The best way to get in touch with us is through our website, which lists our contact information. 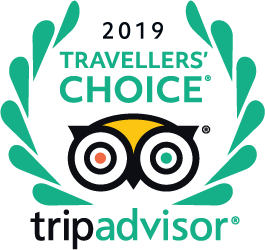 As others have mentioned, we are a little off the beaten track, and we would prefer to have you book with us before arriving, as it helps to make the whole process that much more smooth. Hello, how much is dinner there ? Combien faut-il compter pour un dîner sur place en sus du coup de la chambre? Hi, how far is this from the trainstation? Good morning Monika, Thotalagala is about 5km from the train station in Haputale (I presume this is the station you are asking about), and about a 15 minute drive. If you don't have a driver of your own, there are plenty of tuk-tuks in the area who know where to find us. Alternatively, you could call us using the numbers listed on our website, and we could arrange to collect you. Happy travelling!